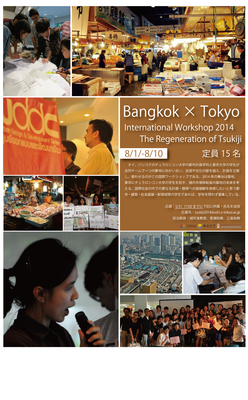 There will be an Joint International Workshop on the regeneration of Tsukiji from August 1st. This year, we will invite Chulalongkorn Univ. from Thailand. Please Join us. 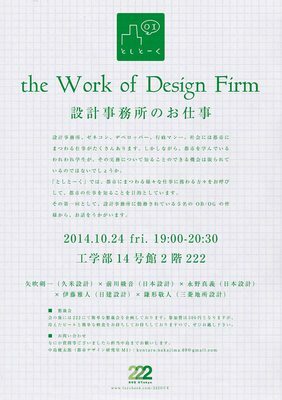 Co-produced by the Urban Design Lab. 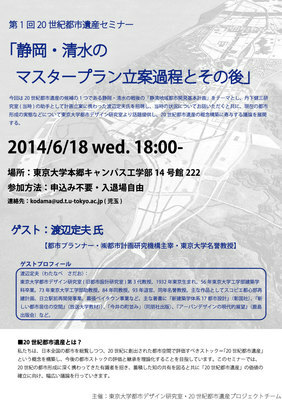 the 'Shimizu Port Promenade Deluxe' event will take place on 23. Feburary 2014 at Shimizu port, as part of the Mount Fuji Day. Enjoy Mt. Fuji, Miho-no-Matsubara and Shimizu port all at once!